After numerous media reports and rumors, the CA finally confirmed the sanctions yesterday for Steve Smith, David Warner, and Cameron Bancroft. As confirmed by James Sutherland, CEO of Cricket Australia, they were the only 3 players in the know of the plan to use sandpaper to alter the condition of the ball. While Steve Smith and David Warner were handed 12-months suspensions, Cameron Bancroft is not allowed to play competitive cricket for the next 9 months. Furthermore, Steve Smith will only be able to be in a leadership role 12 months after his return of the suspension, while David Warner will never even be considered in the future. Ever since these numbers have been out in the public, everyone seems to be having a say on the given punishments. Even though there are few people who believe the duration of the punishments is accurate, a majority of the people believe the CA was too harsh towards all 3 players. This has sparked an unstoppable debate on social media. However, it is clear that the CA has not only taken ball tampering into account while deciding the punishments. The Australian public is extremely passionate about their sports, especially cricket. In fact, the Aussie Cricket Team captain is considered to be the 2nd most important person in the country after their PM. This shows how much the crowds love their cricket. 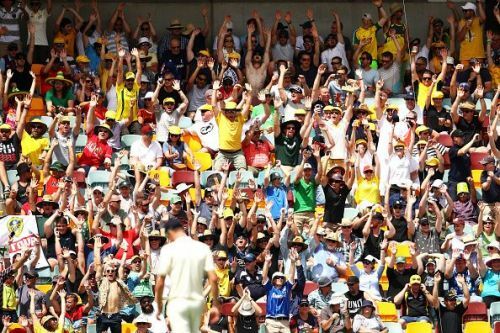 There won't be a single match Down Under, where one wouldn't see a full-packed stadium. Additionally, the Australian Cricket team is an inspiration and goal for millions of children and youngsters of the country that aspire to be just like Steve Smith or David Warner or Mitchell Starc someday in the future. These cricketers are the ultimate idols for kids from Down Under. Therefore, when Steve Smith and Cameron Bancroft confessed their plan to, dare I say cheat, the Australian fans went into shock. They felt cheated on. It was as though they had not cheated on the game but them, the fans. They were in disbelief that their idols, their leaders, their motivation, could fall to this level. Steve Smith, David Warner, and Cameron Bancroft had not only brought shame upon themselves, their team and the game of cricket but to their country. The country that was once known around the world as the country that played hard but fair in any sport, is now known as the country that cheats to win. The CA recognized this. They very quickly realized that they need to set severe punishments in order to give all the passionate fans back home justice. A lesson for the Cricketing World. This is not the first time. It is not the first time a player has been accused of ball tampering. It might be the first time the captain has come out and admitted to it, giving social media the luxury of labeling it as 'premeditated cheating'. However, the cricketing world has seen numerous players from around the world being accused to try and change the condition of the ball. Whether it was Faf du Plessis in 2013 and 2016 or Mike Arthur in 1994 or even Sachin Tendulkar in 2001. However, in all 3 cases, the player was neither fined nor found guilty by the ICC. Due to comparatively minor or no action being taken, players kept performing acts to alter the condition of the ball. It's not even ICC's fault, considering ball tampering falls as an offense under Level 2 of the ICC Code of Conduct and the maximum punishment one can receive for breaching it is a 100% of his match fee and a 1-match ban, which was received by Steve Smith. However, this huge ban given by the CA to all 3 players involved in the ball tampering is a lesson for all cricket boards, players, and fans. The CA has made an incredibly strong and necessary message to the entire world, no individual is bigger than the game. He might be the captain of one of the strongest teams, he might even be one of the greatest batsmen the world has ever seen, but no one has any right to cheat the game or misuse his position.